Breathtaking 270-Degree Panoramic LED Screens Coming To ms Koningsdam! Cruise News Holland America Line Breathtaking 270-Degree Panoramic LED Screens Coming To ms Koningsdam! 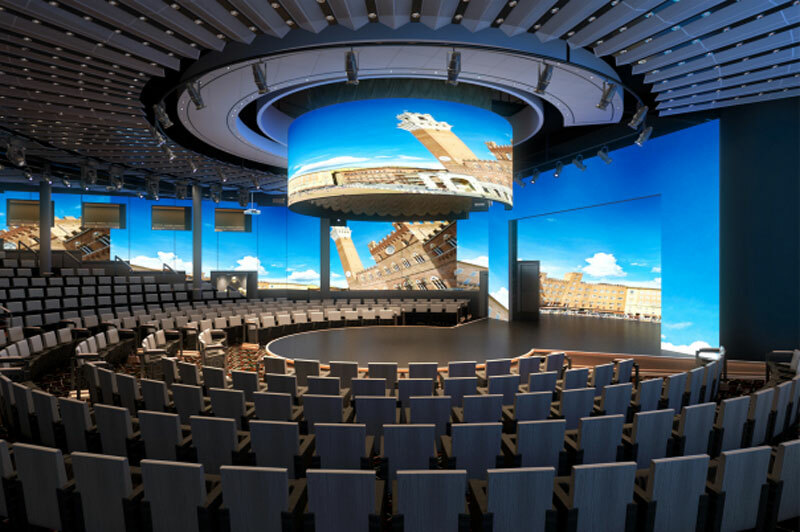 On Holland America Line’s new ms Koningsdam, entertainment meets innovation with a new main theater design that surrounds the audience with a 270-degree LED screen. Breaking from the line’s traditionally styled theaters, The World Stage is a flexible space that can have multiple stage configurations, ranging from in-the-round to the more conventional proscenium staging. The theater will initially host five new productions performed in repertory by a cast sourced from around the world. At two stories high and 250 feet long, the high-definition LED screens will make The World Stage a trend-setting theater at sea capable of showcasing an exciting array of performances and productions. Enhanced by state-of-the-art lighting, projection and sound systems, the screens enable the environment of The World Stage to change throughout the day to present anything the designers can imagine. For example, the room can evolve effortlessly from an Italian palazzo for a concert performance to an imaginary world for innovative production numbers. The cruise line has also announced a new partnership with the Billboard charts and the Lincoln Center for the Performing Arts which you read about right here. The ms Koningsdam is being outfitted at the Fincantieri shipyard in Italy and will make its debut in April 2016. The new ship is 99,500 gross tons making it the largest ever built for the cruise line.